On December 25, 1837, a force of 2,000 U.S. Army Soldiers and Alabama Volunteers arrived near this spot to construct a fort which was aptly named, Fort Christmas. This fort was only one of over 200 forts built during the Second Seminole Indian War, 1835 - 1842. 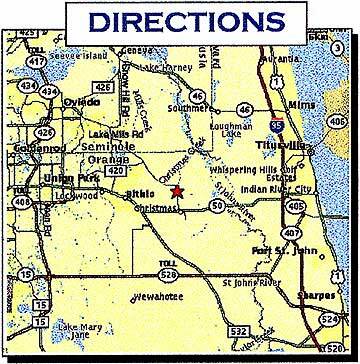 The fort houses exhibits and a video presentation on the Seminole Indian Wars. Visit the full size replica of Fort Christmas. Seven restored historical homes preserve the 'Cracker' architecture of East Orange County. The houses are interpreted to show pioneer life from the 1870s through the 1930s. Key themes are homesteading, cattle, citrus, hunting, fishing and trapping. 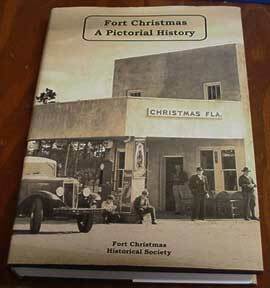 The Fort Christmas Historical Society and Orange County Parks and Recreation Division. The gift shop has closed. Summer -- 8:00 a.m. - 8:00 p.m.
Winter -- 8:00 a.m. - 6:00 p.m. Hours change when the clock changes. Entrance is free. There is a charge for large groups; please call for details. Click on blue bordered pictures for enlargements. Last Saturday in January, 10am - 3 pm – FREE — Ride on Over N' Sit a Spell! Christmas Cowboys & Community gather to share their heritage. Cowboys tell stories. Bring a covered dish to share, door prizes. Remember to bring your old stories, jokes, pictures and memorabilia to share. 8:00am - 5:00pm-- Great food. FFA BBQ Cook-offs & Bake-off. Jack Pot Cow Show, Young Poultry Show, Lamb Show, Antique Tractor Exhibit, Florida and Wildlife: Archery in the Schools, Informational Displays, Orange County Cattlemen will be selling some great food, Brooks Brothers Alligator Farm, Orange County Farm Bureau Freeze Brand Demonstration, Orange County Cooperative Extension Diplays, and lots more. Click for PRINT & SHARE AgFest flyer with details. The Orlando Wetlands Festival - February 15, 2020. A family focused festival with lots of nature and outdoor activities. 9am - 6pm — Backyard BBQ Contest - Chicken & Pork Ribs (Meat will be provided the day of the contest) This competition is for backyard BBQ enthusiast only. Big Fort Christmas Craft Show. 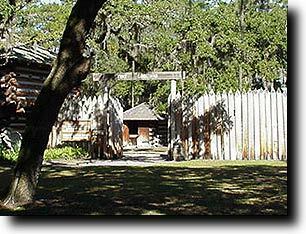 Hear about the second Seminole War from soldiers in period dress camped in front of the Fort. Programs at 12:30pm and 2:30pm in the Fort. Musket and cannon firing demonstrations. 10:00am - 2:00pm -- FLORIDA AGRICULTURE RESOURCES MATTER — Do YOU KNOW WHERE YOUR FOOD COMES FROM? Do you know how our natural resources provide your clothing and housing? Learn all this and more at FARM. $6.00 per person. December, 7 & 8, 2019 10am - 4pm, Entrance is free, free parking across the road from the park. BBQ pork sandwiches, chicken filets, community groups have baked goods, drinks, hotdogs, gator, sweet pickles, etc. Pioneer demonstrations - broom making, blacksmiths, basket weaving, rope making, spinning, quilting, lace making, wood carving, and many more. Large craft fair with over 150 crafters with handmade items, the Christmas Post Office will have a booth so you can get your Christmas cards hand stamped, antique engine and tractor display, and much more. Photos of a Cracker Christmas. We will do mail order if you send a check made out to FCHS (Fort Christmas Historical Society) and add $6.50 for shipping for one book. If you want more than 1 copy please call for prices. *Please check the NBBD Calendar of Events for exact dates. Old School Photos - Old Timer's Day has been discontinued. Wheelchair Access: The first floor of the buildings in the Fort are accessible. One pioneer home has a wheelchair ramp.